Christmas never feels so until I am cold. Spending Christmas in a warm country is just not the same. In my mind, the season to be jolly comes with a side of chilly air, darker shorter days and sparkling street lights. A BBQ lunch on Christmas Day can never replace the fireplace, the warm soup and the thick wool sweaters. It is just not the same. But sometimes, you just can’t get away and are *stuck* in the warmer countries of Southeast Asia craving a bit of that winter feeling. And, it is possible. Just. With a little bit of imagination. Here are 5 places where you can still celebrate Christmas in Southeast and feel like you are closer to home. Did you know that the average altitude in the main towns within the Highlands is 1,500m above sea level? That is right, expect temperatures to hoover around the 17 to 24 degrees throughout the year. They rarely drop below that but also rarely get to the warmer temperatures in the rest of Malaysia. Enjoy a cup of tea with scones and strawberry jam, the area’s specialty, and watch the rain pour down as it does on more than half of the days. 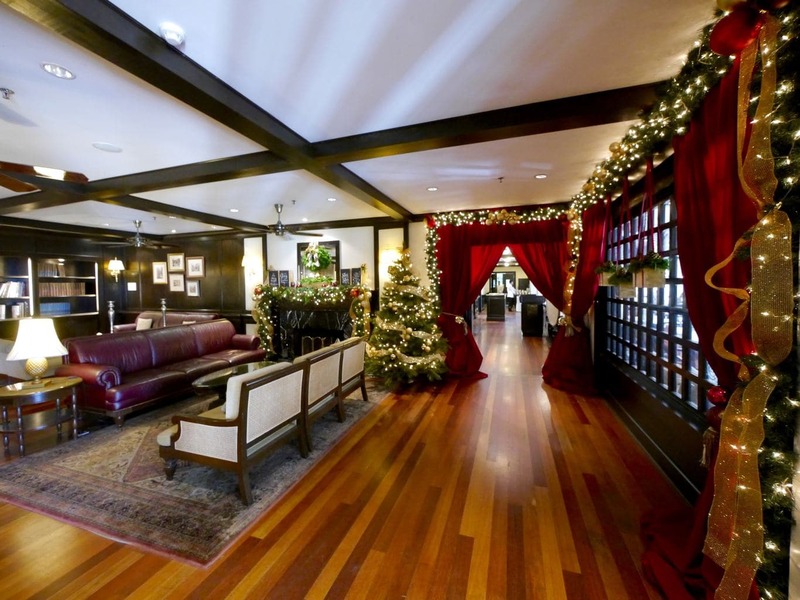 What is more, Cameron Highlands was a British Hill Station so Christmas trees and lighting may be up, especially at the Cameron Highlands Resort where the fireplace burns in the evening and you can sit in front of the fire on plush leather sofas. Read my guide here. I still remember landing in Hong Kong in early December five years ago for a Board Meeting at my client when the freezing air hit my face like a brick. It is not that Hong Kong gets to the freezing temperatures of other countries further North and East in Asia like Japan or Korea where temperatures are well below zero for most of the winter, but the contrast with balmy and hot Manila. Christmas is for sure in the air in Hong Kong. It is obvious in the neon signs, the street lights and the towering Christmas trees in all hotel lobbies and shopping malls. For a special dose of Christmas splendor stroll through the lobby of the Mandarin Oriental, the brand’s first and flagship hotel in the CBD is a Christmas paradise. I still remember the lingering smell of the thousands of roses they had made a Christmas tree of, high in the lobby. It was magical. Hong Kong’s neighbor and former Portuguese colony of Macau enjoys much the same cold winter as Hong Kong. Here, expect the large casino resort chains to put up a real show of lights and Christmas delights. You will feel exactly like in Vegas, a bit like an adult’s playground and plenty of Christmassy elements to keep you entertained. Christmas trees, street lights, overdoing the already over the top ongoing bright lights of the casinos and resorts, and nativity scenes everywhere. 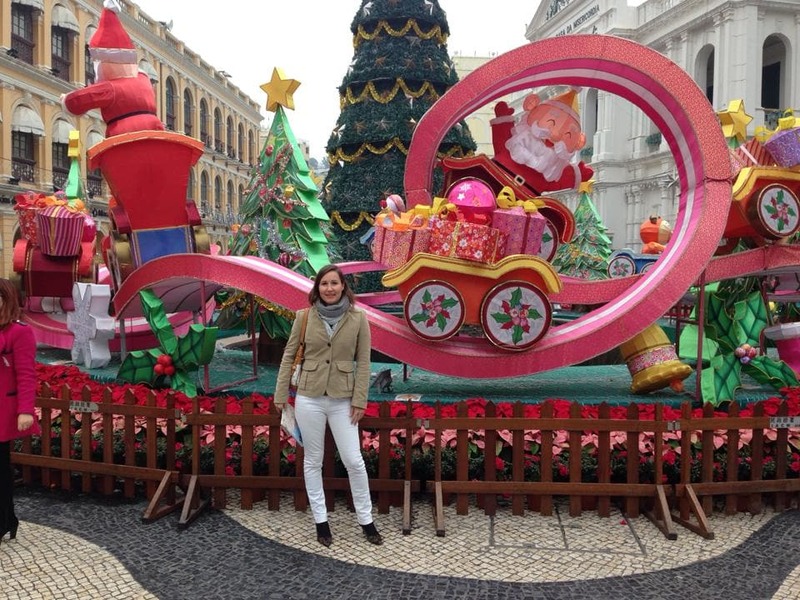 Check my guide to Macau here and this article for the best luxury hotels in Macau. The high elevation of the area converted Baguio into the center of power during the American occupation when the governor used to move the seat of power to the higher altitudes to escape hot Manila. Today, Baguio is still a great place to enjoy Christmas and a favorite among locals. Expect not only street lights but also Christmas Villages mimicking the Christmas markets of Europe. Having spent 3 Christmas in the Philippines I know the countdown starts early, as early as September, 90 days to Christmas Day. Filipinos are devoted Catholics. Head out from Chiang Mai to the mountains for cooler temperatures, at least in the evening. Chiang Rai enjoys below 20 Celsius levels curing Christmas, although day temperatures are pretty warm still. Although Thais are not Christian, some of the hotels will be putting up Christmas lights, hanging some bright balls and dressing up trees for the few expats and tourists. Anything for an excuse to party in the land of smiles.